Nice Air also owns all of it's over 25 aircraft. We have a full time staff of over 20 people dedicated to flight training. We have a staff speaking , Spanish, Japanese and and Korean. The school is approved by the FAA to offer Part 141 training for Private through Commercial Pilot Courses. 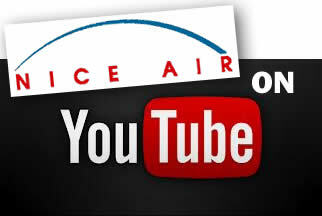 With over 29 years of experience and hundreds of pilots trained, Nice Air is your choice for flight training.